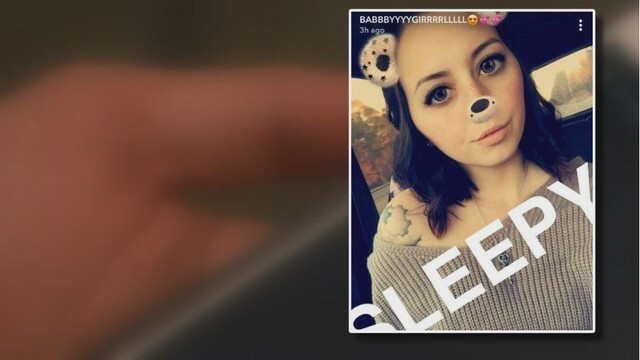 RICHMOND, VA (WRIC News) - A family pleading for change visited the Virginia State Capitol Wednesday, holding a photograph of Lakin Ashlyn Gabel that was uploaded to Snapchat in Williamsburg 2017. The photo was taken moments before a crash that claimed the young Williamsburg mother's life. "You don't realize the danger of it until you go through it,” Tabitha Clark, Gabel’s cousin, said. The pain has caused their family to mobilize, starting a Facebook campaign to get people to pledge to not use their cell phone while driving. “If we can get more people to hear our story and see that it’s not just us that can be affected,” Clark said. Gabel’s family isn’t alone. Between 2013 and 2018, there’s been a nearly 13 percent increase in crashes with drivers using a cell phone, according to data from the Virginia Dept. of Motor Vehicles. "If you're using your phone, you might as well be drunk,” Del. Mike Mullin (D-District 93) said. Technically, it wasn't illegal for Gabel to upload a Snapchat post in the car. Right now, there’s a ban on texting and driving in Virginia. Police can pull you over if they suspect you’re doing it, but lawmakers say it’s hard for police to enforce. "Unless you see that happening directly or if the person admits that, it's just not enforceable," Del. Mullin said. Mullin is part of a bipartisan push to make Virginia “Hands-Free,” banning drivers from using cell phones in a car unless the device is hands-free and voice operated. Under HB1811/SB1341, drivers caught using a phone to check out apps, text or call could be fined $125 for a first offense, and then $250 for the second offense and every time after. "Everybody is going to at least go out and get that 99 cent dongle you can get at 7/11 to mount your phone onto your windshield,” Del. Mullin said. Del. Mullin says making Virginia “Hands-Free” also makes it much easier for law enforcement officers to enforce the policy. “Having a straight hands-free law also makes sure that there is not a question of unequal enforcement when it comes to communities of color as well. We’re only going to have one question, did you have the phone in your hand or not?” he added. Lakin Gabel’s family hopes the law passes so other families don’t go through the same pain. "Those lives could have been saved if the law had been changed,” Roxanne Gabel, Lakin Gabel’s mother, said.